The Garrison Channel/Davis Islands area is located in Hillsborough Bay about five miles southeast of the Tampa International Airport and 30 miles northeast of the Tampa Bay Inlet at the Gulf of Mexico and Gulf Intracoastal Waterway. 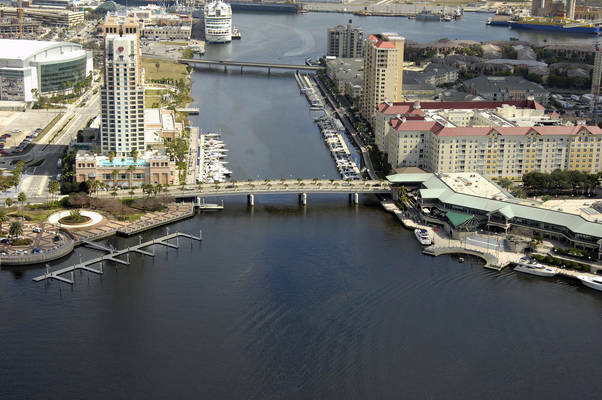 Now the center of a large building and development boom, the Garrison Channel area was once a commercial port and shipping area, but more recently that has given way to the construction of hotels, marine basins and waterfront shopping developments. The Garrison Channel is bounded on the east by the Ybor Turning Basin and on the west by the Seddon Channel. Two bridges cross the channel (visible in the image above) and both have fixed vertical clearances of 10 feet, the limiting overhead clearance for the channel. 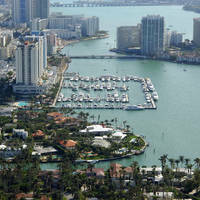 There are a variety of marinas and accommodations in the Garrison Channel/Davis Islands area. Approaching from the south via the Cut C Channel, the Davis Islands Yacht Club is visible in the protected harbor next to the Peter Knight Municipal Airport. The marina has transient slips, a restaurant on-site, a pool, and showers/restrooms. In Garrison Channel itself are two marinas, one on each (north and south) shore of the channel. 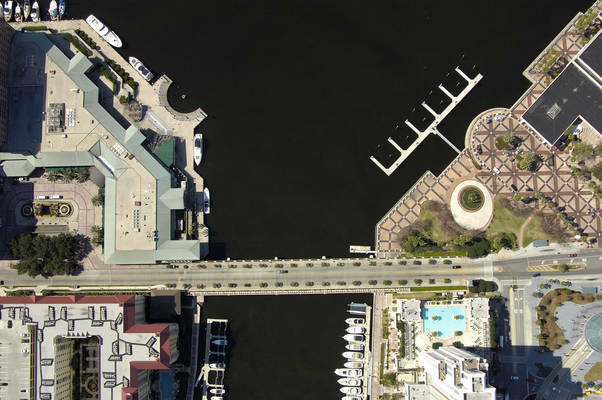 To the right (south) in the image above is the Wyndham Harbor Hotel, which has limited space for transients. 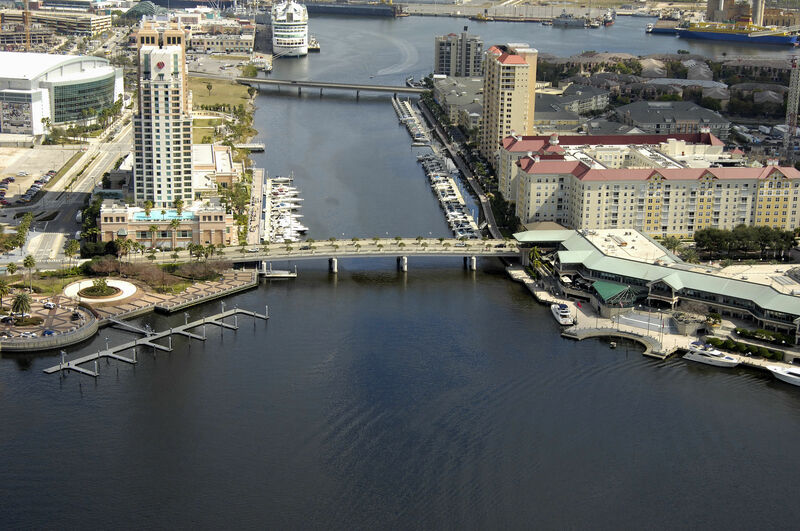 The Tampa Marriott is on the left (north) side of the channel also has limited transient space and free tie ups for hotel guests. Bayshore Marine is on the far east side of the Garrison Channel and may have some transient facilities available; call ahead for availability. 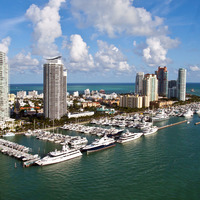 The Marjorie Park Yacht Basin is located farther south off the Seddon Channel on the east side of Davis Islands in a protected basin. 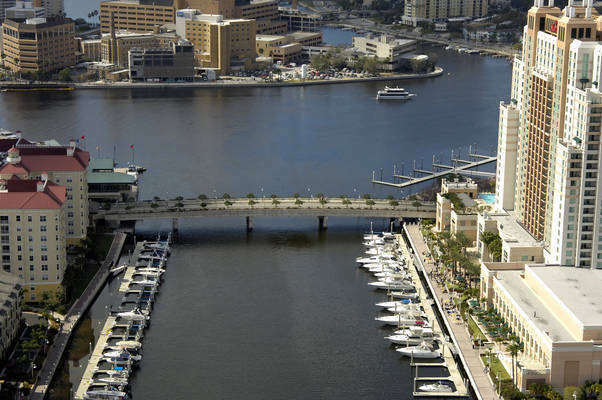 To reach the Garrison Cut area, you must first navigate up the eastern branch of the Tampa Bay Channel past a number of commercial ports, channels and approaches. This area is busy with all manner of ship traffic, from enormous cruise liners to small commercial barges in tow. Transiting the are requires a sharp lookout for large traffic that has difficulty maneuvering (i.e. cannot avoid you in the event of an imminent collision). The Cut C Range runs north for about six miles until it reaches the Cut D Channel at flashing green buoy 31. Once you have intercepted the flashing green buoy, you can head north for about 1.6 miles until you reach the beginning of the Seddon Channel south of Harbor Island. The Seddon Channel continues north for about 1.2 miles before intercepting the Garrison Channel West Inlet. No reviews yet! 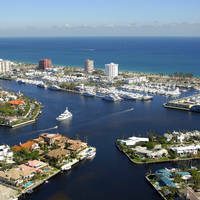 Be the first to write a review of Garrison Channel West Inlet.